It can be easy to just think that roofs are for sheltering and protection. Your roofing company probably goes up there periodically and does any roof repairs and what not. You might have gutter inspections done and cleanings. But, what about you? Do you ever climb up there and let your imagination soar? Roofs are a great place to do some thinking. However, before trying any of the these things, make sure that you have the type of roof that is safe to climb on to. You wouldn’t want to hurt yourself. Talk to your roofing company about the safety factor of your roof. 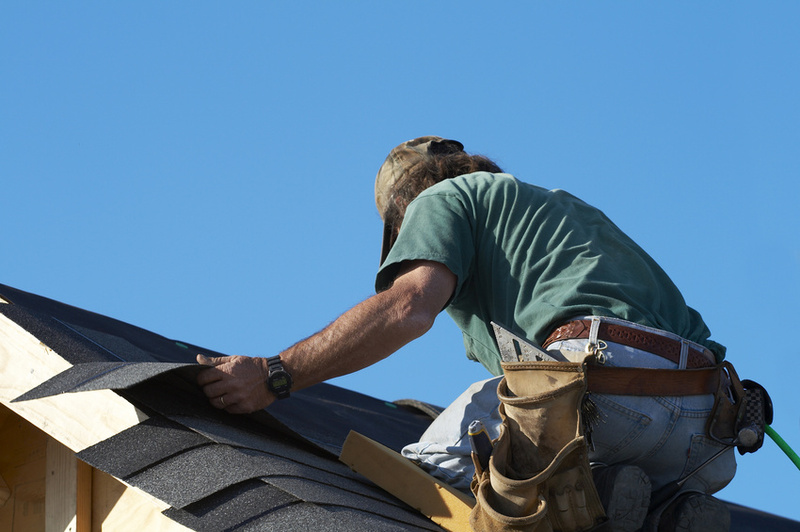 If the roofing company things that it would be safe enough for you to be up there, here are a few ideas of things that you can do while being on the roof. It might even be helpful to be on the roof for some of these. One of the best things to do when you are on the roof is to look for shooting stars. Hopefully you live in an area that does not have a lot of light pollution. This makes it a lot easier to see the stars. If you are up there for long enough, you’ll probably see a lot of shooting stars. If that’s why you want to go on the roof then you could actually look up when there is going to be a meteor shower. This will get you the best show. On a side note, speaking of shows, fireworks are also great to watch from the roof of your house. When you picture being on the roof, it’s usually alone. This is a good time to lay back, look at the immense sky and ponder your life. Think about your past, present and future. Reflect on the past year and how you have grown; if you have grown. Decide what your goals should be; long term and short term. All of these things will work together to make you who you are so the best place to think about them is when it’s alone and quiet. The thing about being on the roof is seeing that huge universe around you reminds you that you are apart of a much bigger picture. It gives you perspective. The roof is a great place to talk on the phone. If you have children or live with room mates, odds are that your house is never very quite. There probably aren’t a lot of private places. If you want peace and quiet to have a long conversation with an old friend or family members, hanging out on the roof is a great place to do it. However, keep in mind, if the conversation should be private and outside is quiet, people in the yard might be able to hear you, depending on how loud you talk and if you have a one or two story house. If you are up there simply because you are trying to find something to do then you might take the opportunity to check the shingles. Loose shingles are a sure sign that your roof is going to need replacing soon so it’s a good idea for you to catch it early. If you notice loose or missing shingles, talk to your roofing company and have them come and preform an inspection. They will be able to tell you if it’s time for a new roof or if you simply had some shingles that were faulty. It really comes down to where the shingles are and why they were loose or broken. You probably can’t imagine this one because the roofs in America are not very conducive to this. However, in many countries, the roofs are flat and have a wall around the perimeter. It’s like another patio. Many people hang their laundry out to dry on clothing lines. If you have a roof like this then your options are endless. You could set up patio furniture and everything. However, not many roofs are like this in the United States so you’ll be better off hanging your laundry to dry in your back yard.